The volcanic activity that created the Canary Islands has left behind a magnificent legacy. Perhaps the most scenic of the Canarian archipelago, Gran Canaria boasts a stunning mountainous interior where rugged ravines and gaping gulleys become more fertile and lush with altitude. Winding roads snake up mountainsides to pretty whitewashed villages surrounded by spiky cacti. In contrast, bright and breezy coastal resorts bustle with life and excitement and play host to a superb selection of shops, restaurants and bars as well as long stretches of golden, sandy beaches where you can bask beneath the sub-tropical sun. 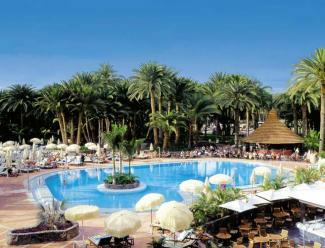 When it comes to fun in the sun, Gran Canaria knows how it’s done. Puerto Rico promises action-packed beaches, while Playa Del Ingles shows off shopping, eating and drinking in its lively commercial centres. Did you know? There is only one Starbucks in all of the Canary Islands. It is located at the Gran Canaria Airport on the island of Gran Canaria. Since the Starbucks here is located inside of airport security, only arriving or departing flight passengers can visit Starbucks in the Canary Islands. The location only carries Starbucks Spain mugs. Terms and Conditions - Offer valid until stocks last. 7 nights Self Catering departing from Belfast on 11th March 2018. 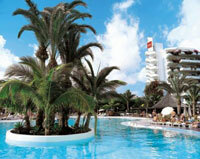 Price: £459 per person based on 2 sharing, including 22kg baggage allowance and return transfers. 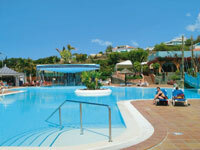 Puerto Rico on Gran Canaria’s south-west coast is ideal for a short, relaxing all-inclusive holiday. Sheltered by volcanic cliffs, the town is compact and easy to get around, with two sandy beaches to choose from (Playa de Amadores and Playa de Puerto Rico). No matter when you go over summer, you’ll pretty much be guaranteed good weather – from May to September, average temperatures don’t dip below the 20s.Meanwhile, Maspalomas, with its desert-like coastal dunes and nature reserve, is close by for a day trip. 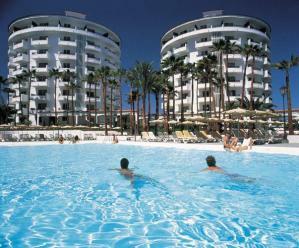 These modern apartments are located in a peaceful and relaxing setting, just 100m from Amadores Beach. 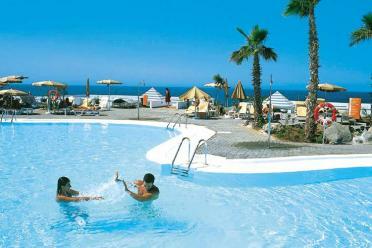 The hotel is uniquely situated on a cliff top offering magnificent views of the ocean and sandy Amadores beach. 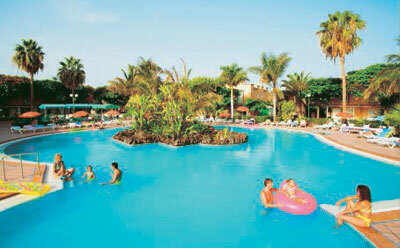 The Hotel Orquidea is a great family choice, set in extensive, palm tree-filled gardens. The Cay Beach Princess is ideal for families, with spacious gardens and terraces. This is the perfect place to give body and mind a good dose of TLC, with the added bonus of plenty of on-site activity and a friendly atmosphere. 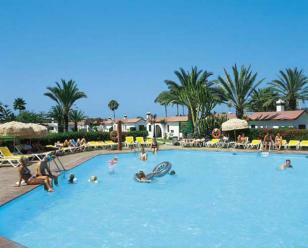 Set in lush tropical gardens on the quiet outskirts of Maspalomas just 2.5 kilometres from the golden sands of Maspalomas Beach. Located in a quiet location in Maspalomas, the Koala Garden Suites offer a good standard of self catering accommodation. This spacious, low-rise welcoming complex lies in friendly and relaxed surroundings. These attractive bungalows are totally geared to providing the perfect family holiday. If you want a holiday where you can indulge in total mind, body and relaxation, this luxurious unique designed hotel will oblige. When guests return several times a year, you know that service here is excellent. 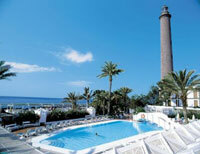 Set right on the beach at the southern most tip of the Maspalomas island. 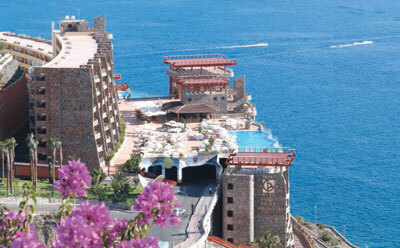 Elegant and tasteful, the Hotel Gloria Palace Amadores offers guests spacious accommodation. A real gem, tucked away in the up and coming resort of Playa Amadores, an excellent choice for couples or families with young children. Situated overlooking the bay at Playa del Cura and just 40 metres from the beach. Set in an ideal location the recently refurbished Catarina boasts a friendly atmosphere. 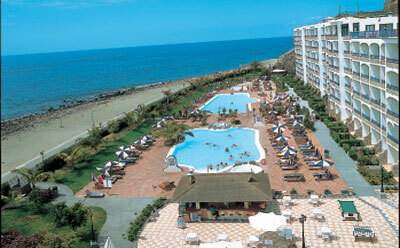 At the Valentin Marieta Aparthotel you can have all the benefits of Playa del Inglés on your doorstep. The well-established Bungalows Cordial Biarritz are a great choice for guests looking for a quiet location. As convenient as you could wish for the night-life, the Apartments Barbados are located in the heart of Playa del Ingles. A popular quality and well-run hotel for all ages in an ideal location. 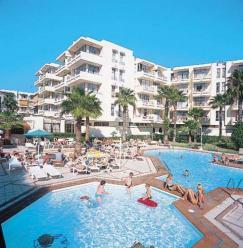 The Continental is a lively hotel‚ with a daytime activities programme in and around the pool. 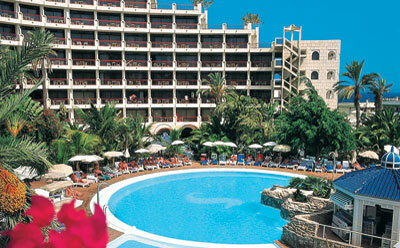 This comfortable and well-equipped hotel is great for an active or relaxing holiday. This popular hotel’s impressive and unusually designed pool features a waterfall at one end and a shady pool bar, reached by bridges. 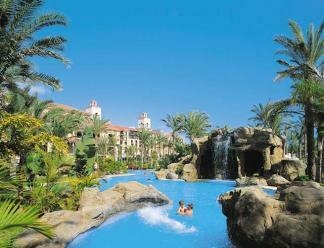 Centrally located within easy reach of the bars, shops and restaurants of Playa del Ingles. In addition to a spacious pool area at this hotel, couples and families can also enjoy the public areas and tempting evening buffets. 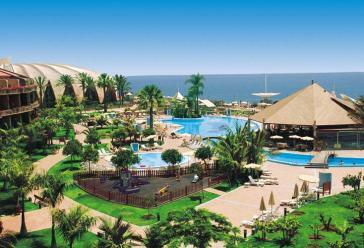 Relax among the palm filled gardens, by the pool, or take the short bus ride to the sand dune lined beach. The Hotel Riu Waikiki is a comfortable hotel, located in five small towers set in well-kept gardens close to the centre of Playa del Ingles. 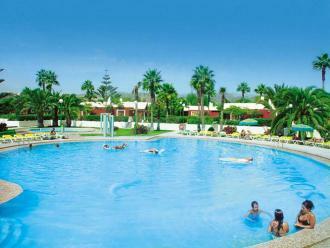 Located in the lively resort of Playa del Inglés, 280 away from the beach. 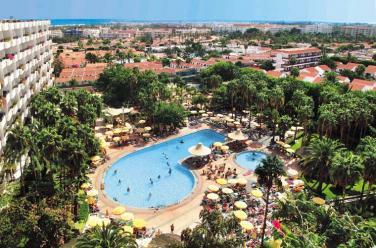 A firm favourite with Airtours customers, the Walhalla is set in a convenient location for all the facilities of Playa del Ingles. 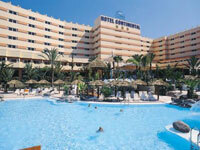 This modern attractive hotel situated in a quiet secluded area of Costa Meloneras overlooking the ocean. 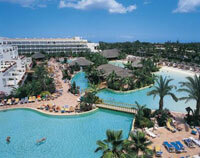 This majestic and substantial hotel overlooks the Atlantic Ocean with direct access to the seafront. 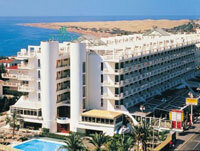 The Hotel H10 Playa Meloneras Palace endeavours to offer you the perfect holiday choice. 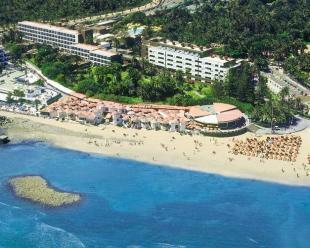 The Suite Princess is set in an impressive cliffside location with stunning views overlooking Playa Taurito Beach. The Hotel Taurito Princess stands in the most tranquil of settings. A tranquil location on the Puerto Rico hillside is what awaits you on arrival at the Babalu. The Morasol Suites have the hills as a backdrop and have great views overlooking the ocean. Well located within easy strolling distance of Puerto Rico beach and centre. A new, smart and attractive complex terraced into the hillside, the Terraza Mar boasts bright and modern apartments. 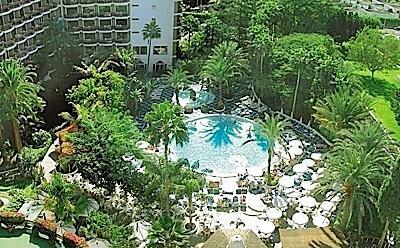 A peaceful setting in a quiet resort, free-form pools, bags of entertainment from morning till night.